Assemble Work/Shop has truly embraced the collaborative, collective, community ethos we dreamt of for cSPACE King Edward. Kristi Woo, Anne Nguyen and Aileen Beninger are the talented designers and co-founders behind Assemble Work/Shop: a local designer studio, shop, and classroom all in one. With a focus on promoting self-sustainability, education, creativity, and community through curated cloth skills workshops and skill sharing, Assemble Work/Shop is a place where the talented trio can support each other in their respective practices, participate in the larger collaborative creative community and facilitate the learning and development of other textile artists. We caught up with the gang at Assemble Work/Shop to learn a little bit more about each of them and find out what they’re looking forward to for cSPACE King Edward and Calgary’s creative economy. 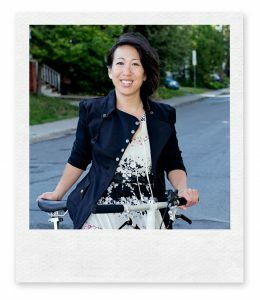 Kristi Woo, Co-founder of Assemble Work/Shop, is also the founder and designer for riyoko.ca, a comfortable, conscious, and chic clothing line made for both the city and the wilderness. Kristi believes in ethical fashion, a lower carbon footprint, and lower consumption footprint. She sources, designs, pattern-makes and sews each style and then locally produces the garments with various small teams of sewers. In her work, she combines traditional pattern techniques with innovative fabrics and modern technical details. She is also currently a Continuing Education instructor at ACAD. Kristi studied fibre arts at ACAD from 1995 to 1997 and graduated from Ryerson University in Toronto with a BAA in Fashion in 2001. Amongst other publications, Kristi’s designs and entrepreneurial skills have been recognized in Bicycling Magazine (2013 to 2016), Momentum Magazine (2011 to 2016), Where Magazine (2013), Martha Stewart’s Whole Living (2011). Aileen Beninger, Co-founder of Assemble Work/Shop, is the founder and designer for Homeage Home Decor. Aileen has always worked in a slow fashion frame of mind. Her approach to both fashion, as well as home decor is focused on locally crafted, high quality product. Aileen founded Homeage in the early 2000s, a home decor company focusing primarily on carefully curated custom and handmade interior textile pieces for client’s homes and businesses. Prior to Homeage, Aileen graduated from Ryerson University and shortly afterwards, founded and designed for NONONO, a Toronto children’s wear company producing locally made children’s clothing and printed textiles. Aileen nurtured NO NO NO for 15 successful years working closely with local artists to design and print textiles and clothing, and loving every minute of it. Aileen is excited about the opportunity to work out of cSpace with Assemble Work/Shop, combining her practices of clothing design and home decor and looks forward to sharing her passion, knowledge, and experience in textile and design through workshops at Assemble Work/Shop. 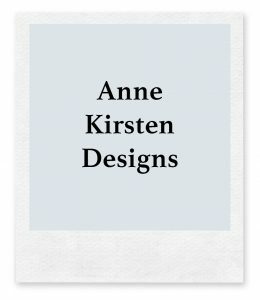 Anne Nguyen, Co-founder of Assemble Work/Shop is also the designer behind Anne Kirsten Designs. 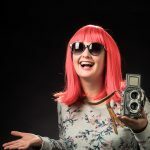 Over the last decade, Anne has worked in film, theatre, and a number of design contracts, in addition to nurturing her flourishing business Anne Kirsten where she designs, consults and produces clothes for private clients. Of late, Anne has begun to moving back towards her artistic roots in her personal work, blending her background in knitwear and leather design with an ongoing exploration of textile/ surface design as a fibre artist. Having studied fine art for two years at Emily Carr College of Art and Design in Vancouver, majoring in ceramics, printmaking, and sculpture and going on to Ryerson University in Toronto to train as a fashion designer, it makes sense that those two worlds collide in her practice. An avid recycler, Anne is constantly looking for new ways to repurpose used or discarded materials and incorporate them into her textiles. Anne’s one-of-a-kind artwear and home décor pieces are currently sold locally through select art markets and galleries including the Glenbow Museum. A firm believer in the grassroots exploration of creativity, and its impact on creating a healthy vibrant society, Anne is committed to creating a culture that is able to think independently as well as collectively, toward a more sustainable future. As Assemble Work/Shop, we aim to help build stronger foundations in the textile community for fellow fibre artists and designers and help grow the conversation around slow and ethical fashion. Kristi: From the design side, as a Canadian designer, it’s important to support what I do, and design and produce quality pieces in Canada, carry on the trademark of quality and durability and support the local job market and economy that I exist in. I believe in a lower carbon footprint, and I also believe in a smaller consumption footprint. Riyoko pieces are quality pieces made to last by people we know and have a rapport with. I believe a garment should be durable, and I believe that less is more, so I take time in my process to make thoughtful, timeless pieces that will integrate into existing wardrobes and last for years. On the educational side, design, pattern-making and sewing are all skills that have been largely lost in the over generations. By sharing my skills with others, I hope it will empower and energize others to create and make clothing and textile goods for themselves, and I hope it will aid to the conversation around fast fashion and slow fashion. Aileen: I love the art and craft of design and have always been passionate about the process of garment making from the design of textiles through to the finished piece. Anne: I am inspired to create sustainable designs that are inspired by repurposing and reimagining materials, thereby initiating dialog for social change. Assemble Work/Shop plans to offer curated learning and development opportunities for designers and fibre artists who are interested in building their skills, learning collaboratively and enhancing their practices. It’s great to see how dedicated you are to collaboration, skill-building and nurturing creativity in the Calgary community. How do you feel Calgary in turn nurtures and supports your work in your personal practices? Kristi: Calgary has a wonderful and ever-growing community of creative makers and doers. I love being a part of that. They inspire me to continue to grow and initiate change. I am also consistently supported by clients, friends, and family who support & believe in my work for which I am so grateful. 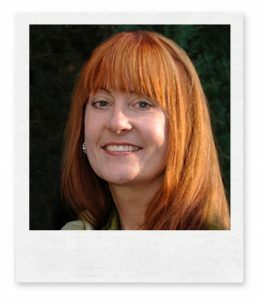 Aileen: Calgary nurtures and supports my work through word of mouth and allows me a base to launch my design initiatives. 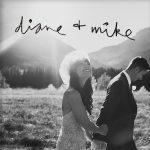 Anne: Having a multifaceted career in the arts, I have been fortunate to collaborate on many projects in various aspects of the Calgary arts scene. Through these experiences, I have created valuable and lasting relationships that have broadened my practice as an Artist and Designer. Starting this spring, Assemble Work/Shop will be offering an exciting array of classes and workshops. But in the meantime, you’re welcome to visit the shop and learn more about their showcase of local and ethical slow fashion. Just email them at hello@assembleworkshop.com to make an appointment. To keep up to date with what’s going on at Assemble Work/Shop follow along with @assembleworkshop on Instagram!